I am so excited to share the Arctica 20 Oz. Stainless Steel Vacuum Insulated Tumbler with my readers. Let’s face it…. we are all running around living our busy daily lives and we need a fabulous travel cup that works and works well and that is why this is the perfect choice. I love the easy sip top on this tumbler and the size if perfect. Not too big and not too small. This is perfect for your morning cup of coffee and equally perfect for your afternoon sweet iced tea or lemonade. 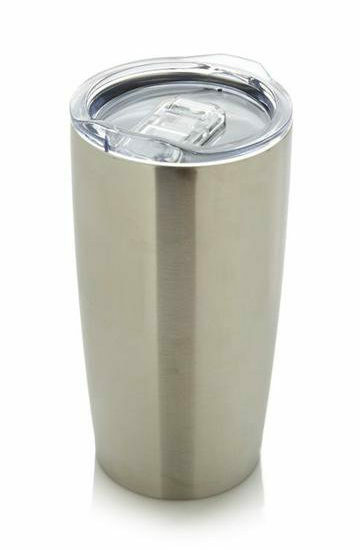 This tumbler is perfect for keeping your cold drinks cool and crisp and it ensures that your hot drinks stay nice and warm. The top is super easy to use and is easy to remove…. no more struggling with a screw top lid when you need a refill. Just pop it off…. super easy. The brushed stainless steel design looks sleek and professional and my most favorite feature….. just pop it in the dishwasher for easy clean up! 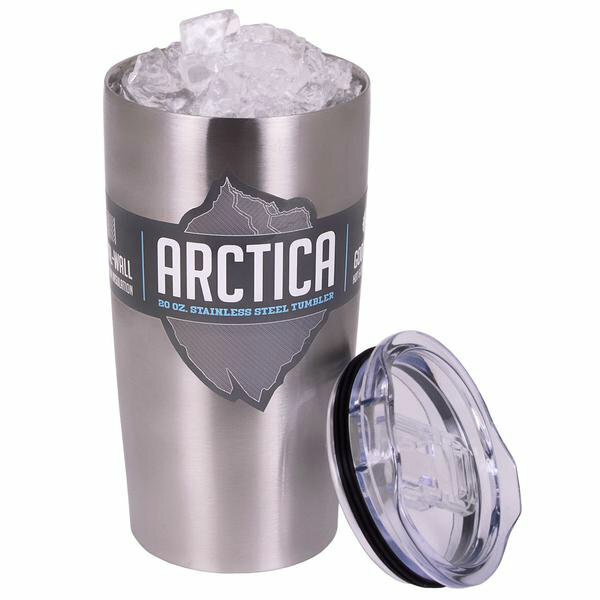 Arctica carries a large selection of different styles and sizes for their stainless steel tumblers plus lots of cool accessories and extra lids. Make sure to stop by the Arctica website to check out their variety today and visit them on social media as well. As Always, Thank You For Stopping By Deliciously Savvy Today & Leave Some Comment Love Or Enter A Giveaway While You Are Here. I love the lid on this cup! It looks like it is totally leak proof! I need a good cup to carry my coffee when I am driving my kids to school! This sounds fantastic! I’d love one ! We have one of these too I absolutely love it! They are amazing, I still have some ice in it in the morning after it sat all night. Awesome lid. I’d love to have one. Perfect to keep drinks while driving to work and at work. We have switched from plastic (which I read that can lead to breast cancer) To glass and stainless steel. Cups like this are all we use. And they are always great to have for taking beverages with you on the go to! I love cups like these. I have a cup I use to take coffee with me on the go or a cold water or Powerade Zero. However both are just cheap and don’t keep drinks hot or cold long. I recently bought my first cameo 3. I plan on attempting to vinyl cups and these would be the perfect start! I think I just saw someone in my office with one of these! They look and sound pretty neat! It would probably be a really good one for me to have as I often knock my tumbler over. 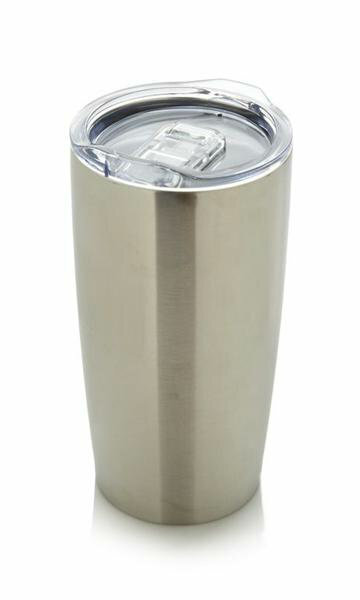 I am big fan of the Arctica Insulated tumbler. My daughter-in-law threatens anyone that looks at hers. My wife would love this tumbler for her morning cup of coffee as she goes about her job.